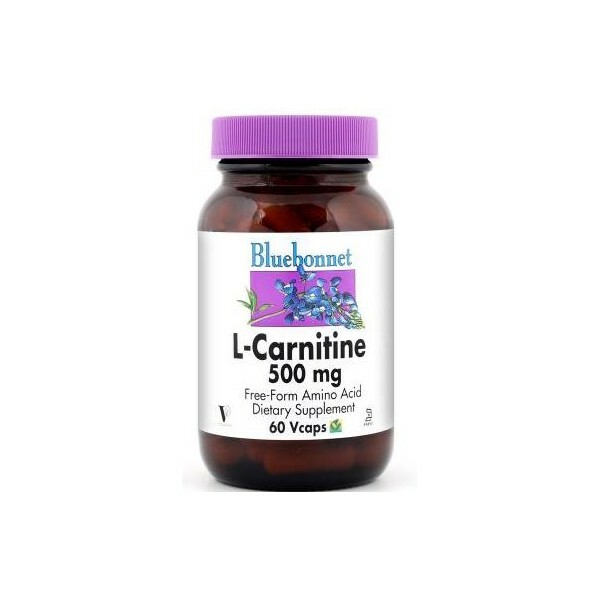 L-carnitine 500 mg Vcaps Bluebonnet provide free form L-carnitine in capsules. Kosher also free of corn, yeast, gluten, barley, rice, sodium and sugar. 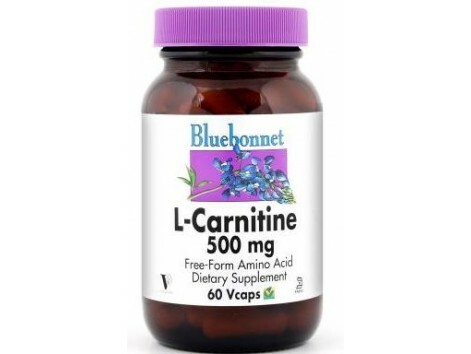 Bluebonnet L-carnitine as 500 mg vegetarian capsules take? 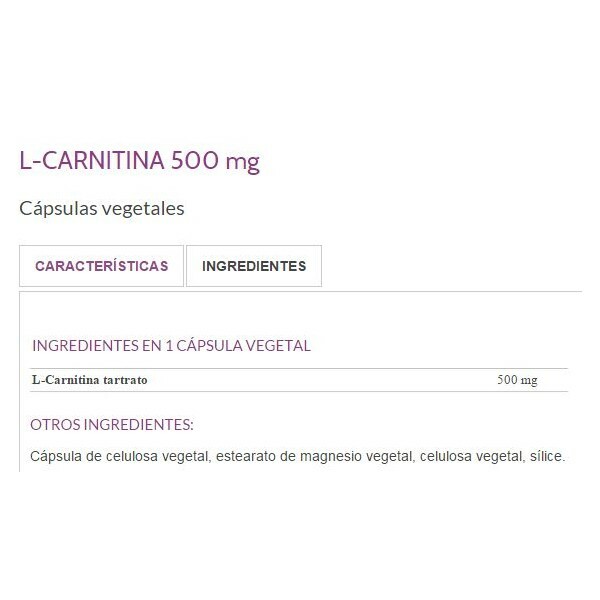 For adult use take 1 capsule L-Carnitine vegetable a day, between meals with a glass of water or as directed by specialist. Kosher vegetable capsules, vegetable magnesium stearate, vegetable cellulose, silica. Free milk, eggs, fish, crustacean shellfish, tree nuts, peanuts, wheat and soybeans. Also free of corn, yeast, gluten, barley, rice, sodium and sugar. You can see the table with all the ingredients and their amounts in Figure 2. Food supplements should take daily doses recommended in the labeling, or by prescription from a specialist, these recommendations should not be exceeded. Dietary supplements can not replace a balanced diet. A varied diet rich in fruits and vegetables can provide all the nutrients (vitamins and minerals) is needed. This product is not intended for use by pregnant or nursing women, unless stated in the description.